The stock was down 2% at Rs 456, falling 15% in the past one month, trading at its lowest level since April 7, 2017, on the BSE. Shares of TVS Motor Company slipped to a 20-month low of Rs 456 apiece, down 2 per cent on the BSE on concerns of a likely rural slowdown and lower exports. The stock of the two-wheeler (2W) company was trading at its lowest level since April 7, 2017. It underperformed the market by falling 15 per cent in the past one month, as compared to a 2 per cent decline in the benchmark index S&P BSE Sensex. TVS Motor Company reported 15.5 per cent year-on-year (YoY) jump in net profit at Rs 178 crore in December 2018 quarter (Q3FY19) on back of healthy revenue growth. It posted revenue growth of 26 per cent at Rs 4,665 crore on YoY basis. Ebitda (earnings before interest, taxation, depreciation and amortisation) margin declined marginally by 5bps to 8.05 per cent from 8.10 per cent in the previous year quarter. The market price of TVS Motor corrected 43 per cent from its all-time high level of Rs 795 touched on January 2, 2018. The stock had zoomed 956 per cent against 61 per cent rally in Sensex between 2014 and 2018. TVS Motor has been outperforming the domestic 2W industry since past 4 years. While analysts expect its outperformance to continue on volume front, its margin growth is likely to be limited due to an aggressive pricing strategy of the competitors and ongoing slowdown led by lower rural demand. “Looking ahead, the Management expects TVS Motor to sustain higher volume and margin owing to success of new products and improving brand equity. We expect higher monsoon deficit in few pockets of West and South regions coupled with lower Rabi cropping to impact rural demand, going forward,” analysts at Reliance Securities said in Q3FY19 result update. “We also expect exports growth to taper down amid lower crude prices, which has been the key driver for economies of Africa and middle-East countries. We believe that cost inflation related to antilock brake system (ABS)/combi-braking system (CBS) implementation and discontinuation of tax benefits from HP plant may put pressure on TVSL’s margin in the near-term,” the brokerage firm said. “New products continue to give confidence regarding TVS’ volume growth. 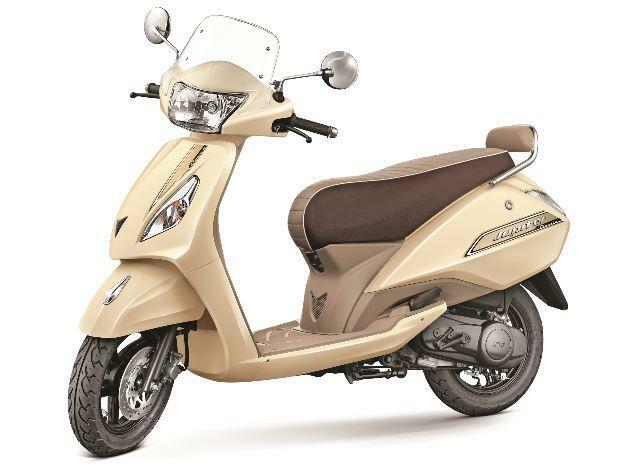 We, however, expect slower volume growth due to the well penetrated scooter market in the top 15 cities coupled with higher vehicle prices on the implementation of BS VI emission,” analysts at Anand Rathi Share and Stock Brokers said in a company update. The brokerage maintains ‘sell’ rating on the stock with a target price of Rs 438 per share.